Last week was pretty intense as far as real news was concerned. How about some light and fluffy news about video games? To be more specific, let's talk about games that we don't normally cover, because they lack cooperative play (as far aw we know). BioShock Infinite is selling well, which should come as no surprise to anyone. According to Gamestop, the NPD data from analyst group Cowen and Company shows the game has sold 878,000 copies. Coincidentally, there are almost as many explanations and theories on the game's ending circulating on the web. Personally, the immersion was lost on me in the first five minutes when I couldn't actually fall off the damn sky city, but what do I know? BioShock Infinite has a current Metacritic score in the mid 90s on all three platforms, and we all know that's what really matters. Bethesda's been teasing gamers all week with little snippets of barbed wire, spinning records and burning flowers on their Twitter account. What could it be? Fallout 4? Something that's not Fallout 4? Maybe Fallout 4? Nope. It's a survival horror game called The Evil Within. Here's a movie from IGN that will tell you nothing about it. There's blood and guts and monsters and stuff. And it's live action. That was your warning. Hmmm. Resident Evil vs. Biohazard. 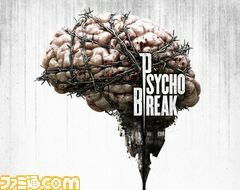 The Evil Within vs. Psycho Break. You win the name game again, Japan. It's almost like the same guy created both these games. Oh wait, he did. Nintenboner - OMG a Zelda ALTTP sequel ! This video claims to be footage from Rise of the Triad. Honestly, I have no idea what's going on. This game may be a wee bit to fast for my old eyes. I see that they have someone with a K/D of -9/18, so they do have someone of my skill level playing. Nice. If you're into speeding FPS deathmatching, you should check it out. Page created in 0.7633 seconds.